PARIS -- Renault today said it beat its full-year profit target in 2015, although its earnings were overshadowed by a deepening crisis at Russia's AvtoVAZ, which said it may not survive without further help from its French parent. 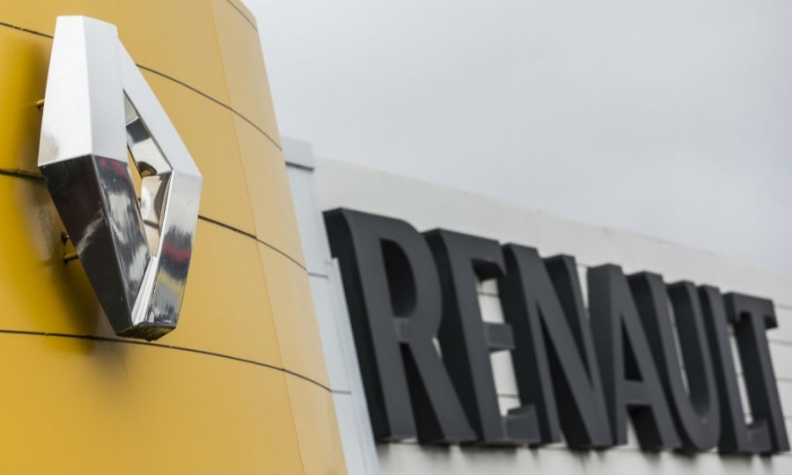 Renault's net income increased to 2.82 billion euros ($3.2 billion) in 2015 on a 10.4 percent revenue gain to 45.33 billion euros, the company said in a statement. Operating margin rose to 5.1 percent of sales from 3.9 percent, beating CEO Carlos Ghosn's 5 percent midterm goal. Operating profit climbed 44 percent to 2.32 billion euros. However, Renault took a 620 million euro hit from its stake in AvtoVAZ, Russia's biggest automaker, and said the bill was likely to rise as it injects more capital to shore up AvtoVAZ in the face of collapsing Russian demand. AvtoVAZ today warned it may not survive without help from shareholders after reporting a record loss. Its net loss widened to 74 billion rubles ($930 million) last year from 25 billion rubles in 2014. Revenue declined 8 percent to 176 billion rubles, falling below costs. Auditors EY said AvtoVAZ's liabilities exceeded its assets by 68 billion rubles ($857 million). "These conditions, along with other matters indicate the existence of a material uncertainty which may cast significant doubt on JSC AvtoVAZ and its subsidiaries' ability to continue as a going concern," EY said. Renault said it is in talks with other shareholders to recapitalize AvtoVAZ, which could lead to it being consolidated in Renault's accounts. Ghosn told Bloomberg Television: "We will do whatever it takes to sustain AvtoVAZ and to allow AvtoVAZ to compete when the recovery comes. We have made the decision to prepare ourselves for the recovery of the Russian market because we believe in its potential." Renault wrote down the value of its holding in AvtoVAZ by 225 million euros to 91 million euros. It also booked 395 million euros of AvtoVAZ's losses for the year. Renault has a 50 percent stake in the holding company that controls AvtoVAZ and while its alliance partner Nissan has a 17 percent stake. Russian car sales plunged 36 percent last year as sanctions over Ukraine and plunging oil prices weakened the ruble and pushed the economy into what is now the longest recession since Vladimir Putin came to power in 2000. Renault expects the market to fall a further 12 percent this year. "I don't expect good news from Russia in 2016," Ghosn said. Renault's 2015 results were boosted by higher global unit sales and cost reductions. The automaker's 3.3 percent increase in global registrations to 2.8 million vehicles, announced last month, reflected runaway sales of the Captur and Kajar SUVs and solid gains for its updated Trafic van and Logan budget sedan. The revamped lineup failed to deliver net profitability improvement from pricing, which instead wiped 379 million euros from earnings as a result of discounts to shift outgoing models, combined with the costs of meeting Euro 6 engine standards. Automotive operating profit still jumped 74 percent to 1.5 billion euros, thanks to 527 million euros in cost cuts in purchasing and other areas, as well as a 1.9 billion euro increase in sales of vehicles and engines to Daimler and Nissan. Automotive operating profit was 3.5 percent of revenues, up from 2.2 percent in 2014. Ghosn's profitability push has been hampered by other emerging markets besides Russia, such as Brazil, where slumping economies have sapped car demand. Renault expects the Brazilian market to decline by 6 percent this year. Ghosn is pushing Renault to lift margins to balance out its alliance with more profitable partner Nissan. Nissan's 6.6 percent return on sales in the nine months through December was higher than Renault's full-year 5.1 percent margin. Ghosn, who is also Nissan CEO, dampened investor hopes of structural change to the Renault-Nissan alliance. An eight-month standoff over French government voting rights, which was resolved in December, showed the alliance's reciprocal shareholdings are unlikely to change imminently unless there is "strategic purpose," Ghosn said. Renault's 43.4 percent stake in Nissan earned it 1.98 million euros last year from its Japanese partner, up from 1.56 million in 2014. Renault raised its dividend proposal to 2.40 euros per share from 1.90 euros the previous year. The company forecast higher sales and an improved operating margin this year, helped by growth in Europe, China and India. Renault expects the global market grow between 1 percent and 2 percent this year. It forecasts the European market to increase by 2 percent, with a 2 percent increase also for France. China will increase by between 4 percent and 5 percent and India will grow by by 8 percent, the company predicts. "We should be able to grow or at least maintain our sales positions in all regions," Ghosn said.